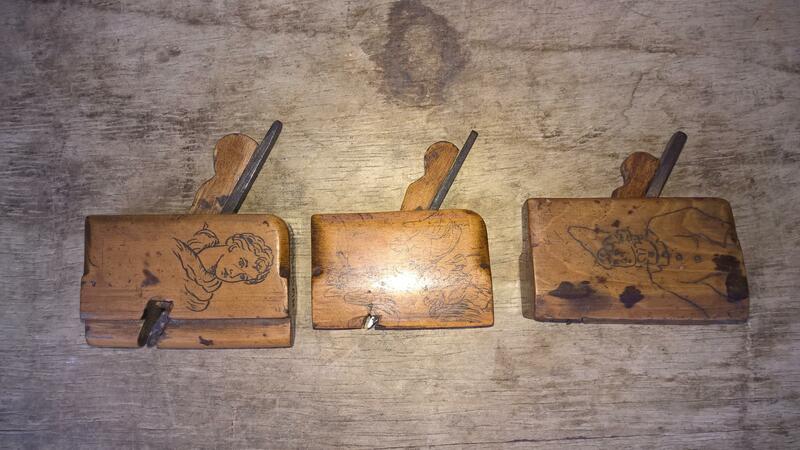 A wonderful group of three boxwood thumb planes with scratch carved illustrations. 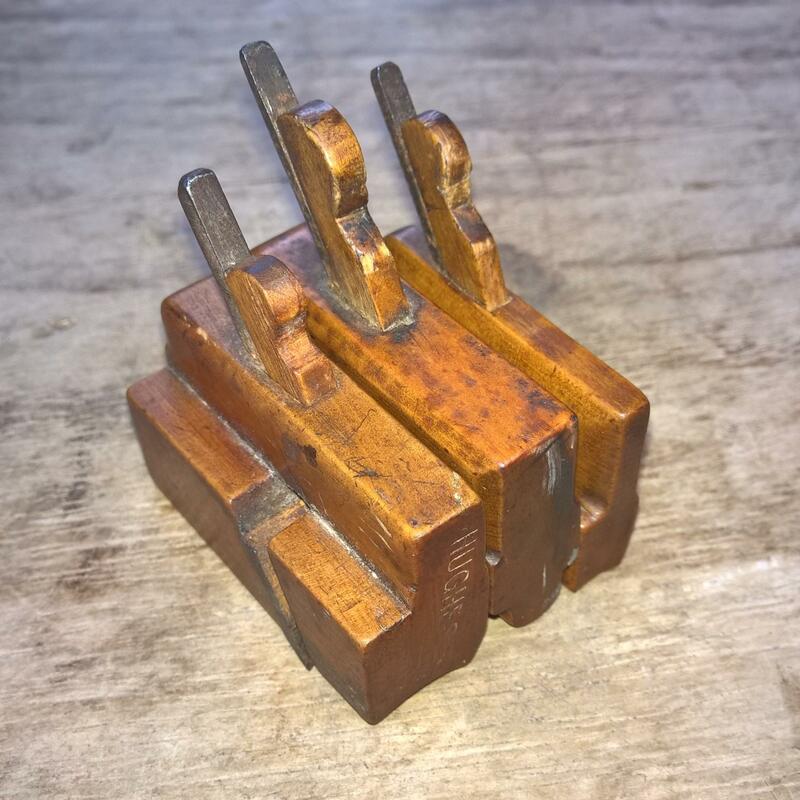 A recent find in a Patternmaker's tool chest, the group consists of two hollow and one fluting plane. 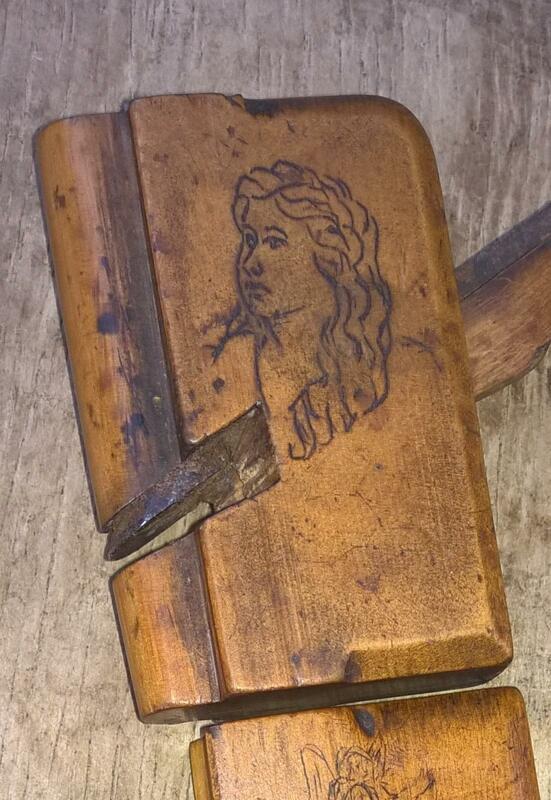 Obviously craftsman made and also possibly only part of an original and much larger group. 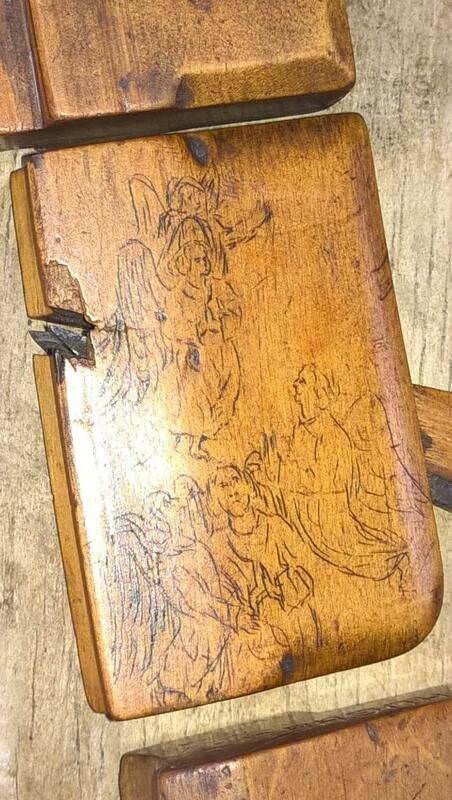 Each of the planes has scratch carved illustrations. 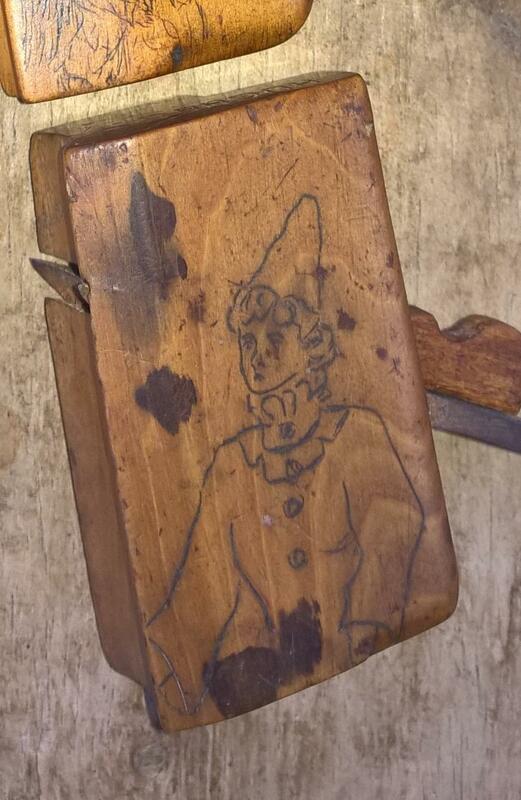 The fluting plane has a man's head on one side with that of a lady on the other, one of the hollows shows a religious scene and the other a pierrot clown. 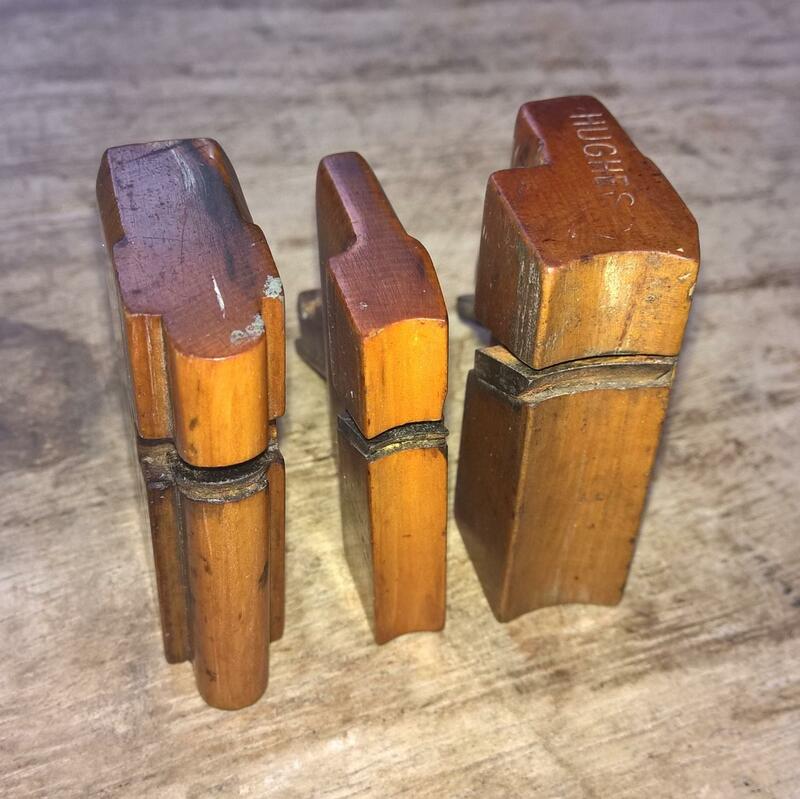 These planes are very small, the fluting plane is 21/8 inches long and 5/16 inch wide, the smaller hollow is 2 inches long and 5/16 inch wide with the other hollow being 21/8 inches long and 5/8 inch wide. 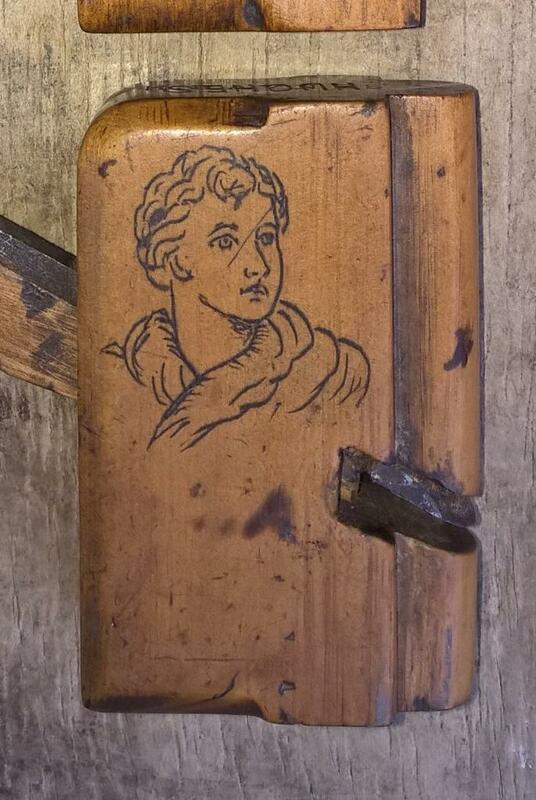 A fantastic find now part of a private collection.